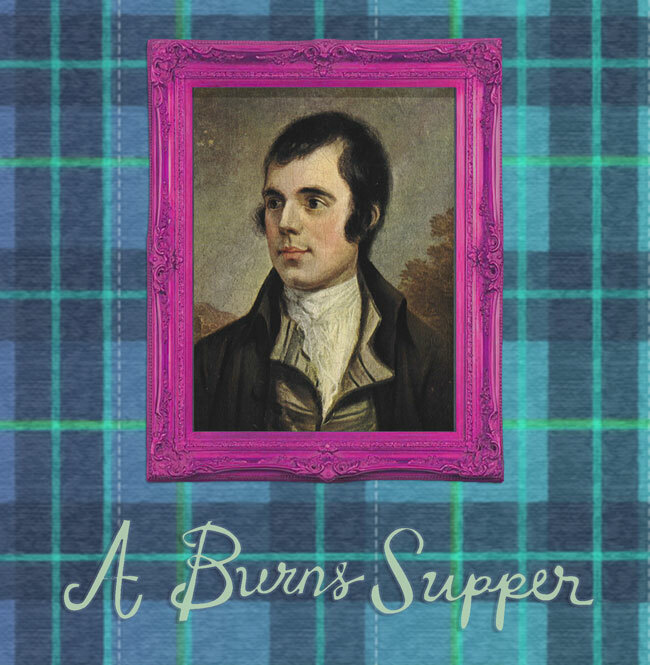 Preparing and planning for my own Burn’s supper this year, made me think why have Burns night suppers been celebrated for 215 years? Why have the poems and songs of the great Rabbie Burns lived on? How is it that they remain relevant? We all know that things come and go. Fads fade. Fashions change but for some reason the power and will is still behind Scotland’s favourite son, Rabbie Burns (apologies to Sean Connery, Andy Murray, Ewan Mcgregor and my old mate Gerard Butler). Maybe we have to wait a couple of decades until we get the bond movies out and celebrate Connery night! I really believe that people wish to believe in something and with Robert Burns and his poetry we have romance, legend, fable, feast, tradition and above all love… Human beings have always wanted story telling at the heart of their communities an identities – and for Scotland, Burns is that story and storyteller. He is the man that wooed the woman, he is the man that has sent a thousand dreams flying and in so many ways he retained that ability and still be a man’s man. Any excuse to party: Why have Burns Night Suppers been celebrated for 215 years? Burns Night is the largest single celebration in the world that isn’t religious and that fact alone means that we should double our efforts to party like we have never partied before. After Queen Vic and Columbus, Robert Burns is also the most sculpted person in the world today (who isn’t religious….) So, call your friends now and book them in for January the 25th NOW or better still – book them in for July 21st too and we can celebrate his birth as well! I’m immensely proud that Scotland leads the way – in the “any excuse to party” league, as I think it shows great leadership when a culture promotes you to see friends, have a good drink discuss the past in a nostalgic fashion and a feast on fresh and delicious Scottish fare. I know of no Burns Night that has ended in a fight… (actually… only 1)…that is another story. So thank goodness this celebration was designed in such a way to capture all the key elements of a great party: Lively music, excellent food, and good company. Is it the Man, or the Myth? Is it the celebration itself? Or the need for any type of celebration in cold wet January? The perfect night out – Or in – so ready my wee book and learn about Burns poetry and Burns Suppers. Maybe you will find out for yourself why have Burns Night Suppers been celebrated for 215 years? My 2016 edition of “How to celebrate Burns Night – A modern and informal guide to celebrating Scotland’s most famous poet, Robert Burns” can be downloaded digitally here or a paper back version delivered to your door from here. One Response to Why have Burns Night Suppers been celebrated for 215 years?